Appalachian Regional Healthcare (ARH) Scholars have a deep, long lasting passion for the medical field, even if sometimes it’s realized a bit later in life. Maranda Maynard’s family consists of a long line of medical professionals, and she says she always kind of knew she would end up in that field as well. Her grandmother retired from ARH in 1990 where she worked as a surgical technician. Before entering nursing school, Maranda earned her Bachelor’s Degree in Accounting. 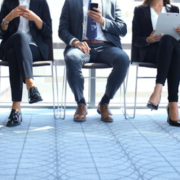 She worked for Community Trust Bank in the internal audit department for a little over a year before deciding to take a different path. Maranda will graduate with her Associate’s Degree in nursing in May of 2019 and she plans on attending the University of Pikeville to earn her Bachelor of Science in Nursing. Eventually she plans to earn her CRNA license and become a Nurse Anesthetist. Maranda was one of the 11 finalists chosen among 72 ARH Scholars applicants. As an ARH Scholar, she will receive a financial reward of $5,000 toward tuition and living expenses while pursuing her nursing degree. ARH is proud to support further education in the ARH communities and offer an opportunity these students may not otherwise receive. Maranda is excited to focus on making a difference in her community through a career she is truly passionate about. Maranda is extremely thankful for the opportunity to be an ARH Scholar and she is excited to finally work in a field where she feels she can make a difference every single day. Recently Matt Williams’ life has been a whirlwind of excitement. First he heard the news that he had been named a 2018 Appalachian Regional Healthcare (ARH) Scholar, he was then hired as a nurse extern for McDowell ARH. As an ARH Scholar, Matt will receive a financial reward of $5,000 toward tuition and living expenses while finishing his associate’s degree in nursing at Big Sandy Community and Technical College. He plans to continue his education to receive his bachelor’s degree in nursing and eventually his master’s degree. Matt’s interest in the medical field, specifically Biology, started at a young age. Matt has experience in various fields including insurance and construction. He spent a portion of his life watching and working for his father’s construction and excavation business where he says he learned to have a good work ethic. 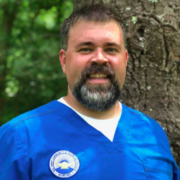 Before pursuing nursing, Matt gained a bachelor’s degree in Biology from Morehead State University. After graduation, Matt began working outside of the medical field, but ultimately followed his passion deciding to pursue a nursing degree. While Matt is unsure of the ultimate career path he will take, he is excited to begin working at ARH. The experience of working in a hospital every day will allow him to learn what area he would like to focus on and where his passion lies. “I’m absolutely thrilled because I’ll get all of these opportunities to practice my skills…I don’t have any experience as a nurse aid or really any medical experience other than volunteering and clinicals. I felt like at 34 years old it was really important that I be ready to hit the ground running when I graduate,” Matt says. Matt is excited for this journey with ARH and says he is very grateful for such a wonderful opportunity. 2018 ARH Scholar Kaylee Fannin has a long history with Appalachian Regional Healthcare—she was born at Tug Valley ARH Regional Medical Center in South Williamson. She grew up in Phelps, Kentucky, and recently graduated from Phelps High School this June. As a student she had the opportunity to attend an early college academy through Pike County Schools where she first learned about ARH Scholars. Little did she know, she would learn of her acceptance into the program on one of the most exciting nights of her high school career. 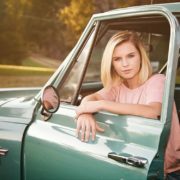 As an ARH Scholar, Kaylee will receive a financial reward of $5,000 toward tuition and living expenses while beginning her college career pursuing a degree in Biology at the University of Pikeville. Her goal is to ultimately become an optometrist and help children who have eye sight issues similar to those she dealt with as a child. Kaylee received her first pair of glasses in fourth grade and upgraded to contacts in sixth grade. Kaylee plans to attend the Kentucky College of Optometry at the University of Pikeville and ultimately work in pediatric optometry. She hopes to have the opportunity to work with the school system to offer free eye exams to students in hopes that she can detect any eye issues they may be suffering from. Kaylee is one of the eleven 2018 ARH Scholars chosen among 72 applicants. Blake Burke is a recent graduate of Shelby Valley High School whose love of sports inspired him to pursue a career in Physical Therapy. Blake is one of the 11 students throughout the 12 ARH communities named a 2018 Appalachian Regional Healthcare (ARH) Scholar. 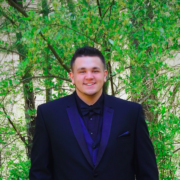 As an ARH Scholar, Blake will receive a financial reward of $5,000 toward tuition and living expenses while beginning his college career pursuing a degree in Exercise Science with a minor in Business at Morehead State University. His goal is to ultimately become a physical therapist. As an athlete playing basketball, football and baseball throughout his life, Blake can’t imagine not having the ability to walk or run. He has witnessed his grandmother go through physical therapy after having a stroke, an event he says really sparked his interest in the field. 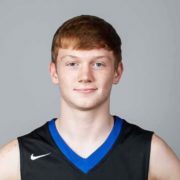 After completing his undergraduate degree, Blake plans to attend physical therapy school at the University of Kentucky. Ultimately, he would love to open his own private physical therapy practice. 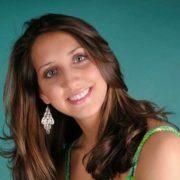 Elizabeth Jones is a Licensed Practical Nurse (LPN) at the Mary Breckinridge ARH hospital and one of the most recent ARH Scholars. After previously applying for the program, Elizabeth was ecstatic to learn she had been named a Spring 2018 ARH Scholar. Among 72 applicants throughout the 12 ARH communities, Elizabeth was one of the 11 scholarship recipients for this round. As an ARH Scholar, Elizabeth will receive a financial reward of $5,000 toward tuition and living expenses while pursuing her nursing degree at Galen College of Nursing. She began the program in July of 2017 and will graduate this December as a Registered Nurse (RN). Elizabeth grew up in Hazard and has been married to her husband, Charlie Jones, for 22 years. She has three children, one of which is also pursuing a nursing degree. 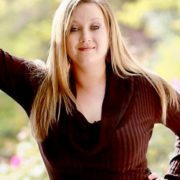 Elizabeth’s passion for nursing was sparked at a young age, and in 2004, she began her career as an LPN working for a long-term nursing facility. In 2005, she joined the ARH family where she has worked ever since. Elizabeth’s favorite part of being a nurse is the impact she is able to make every day through her job. She is present for patients’ best and worst days and she is proud to offer the best care possible regardless of the situation. Elizabeth is excited to further develop her skills to become an RN and continue caring for her community. She plans to stay with Mary Breckinridge after receiving her RN license to continue the good work she is doing in her local community. Elizabeth is excited to continue her journey with ARH as both an ARH Scholar and Registered Nurse. McKinnlee Hatton – football player, musician and most importantly, future nurse – has been named a 2018 Appalachian Regional Healthcare (ARH) Scholar. He grew up in Clay County and is a recent graduate of Clay County High School, where he played football as a left tackle on the offensive line. He says he loves spending his free time playing any instrument with strings and volunteers playing music at the local nursing home with his church, Turkey Foot Pentecostal. McKinnlee’s interest in the medical field came after a traumatic experience when he was four-years-old. He was overwhelmed and happy after learning he had been named one of the 11 Spring 2018 ARH Scholars selected as winners. He was one of 72 student applicants entering the medical field from the 12 ARH communities chosen to participate in the program. As an ARH Scholar, McKinnlee will receive a financial reward of $5,000 toward tuition and living expenses while beginning his college career pursuing a degree in Nursing at Kentucky Christian University in the fall. His goal is to become a nurse offering the same kind of outstanding care as he received as a child. After completing his undergraduate degree, McKinnlee plans to pursue his Master’s Degree in Nursing and ultimately become a nurse practitioner. McKinnlee is excited to begin his college career, making him one step closer to fulfilling his dream of becoming a nurse and bettering his community. Skyler Richmond has an innate ability to help people and loves to volunteer her time making others’ lives better. As a student and recent graduate of Summers County High School, Skyler volunteered with her school’s chapter of the National Honor Society and Beta club as well as an organization called the Yummy Bags Ministry, where she packed bags of food for children in need. In addition to volunteering her time to help her community, Skyler graduated as valedictorian of her senior class. She maintained a 4.0 GPA from her first year of high school through graduation. Her passion for helping people translates into her interest in the medical field. She plans to attend West Virginia University’s Institute of Technology in the fall to pursue a major in Biology. As an ARH Scholar, Skyler will receive a financial reward of $5,000 toward tuition and living expenses. 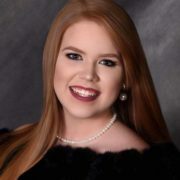 After completing her undergraduate degree at WVU, Skyler plans to enter the Green Coat Program at the West Virginia School of Osteopathic Medicine in Lewisburg, West Virginia. Her goal is to ultimately become an osteopathic doctor and eventually a fetal surgeon helping women with reproductive health, delivering babies and achieving full-term delivery. “I would just like to change the whole world of reproductive health and the birthing process because there are so many issues with it already…to make it seamless if that’s in any way possible,” Skyler says. Skyler is one of 11 Spring 2018 ARH Scholars selected among 72 applicants from the 12 ARH communities throughout West Virginia and Kentucky. Skyler is ecstatic to be named a 2018 ARH Scholar and is eager to begin her college career in the fall.